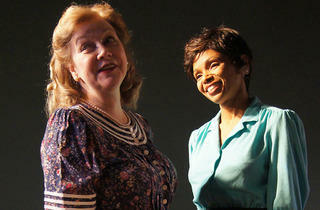 It’s a great time to be a Raisin In The Sun fan in Chicago. 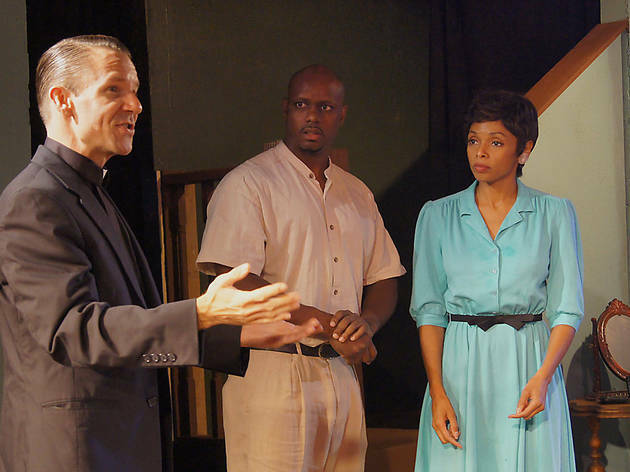 Timeline Theatre Company’s five-star revival of Lorraine Hansberry’s 1959 classic is an exquisitely staged and performed production, and audiences impressed by TimeLine’s show should absolutely head to Redtwist afterward for Bruce Norris’s companion piece. 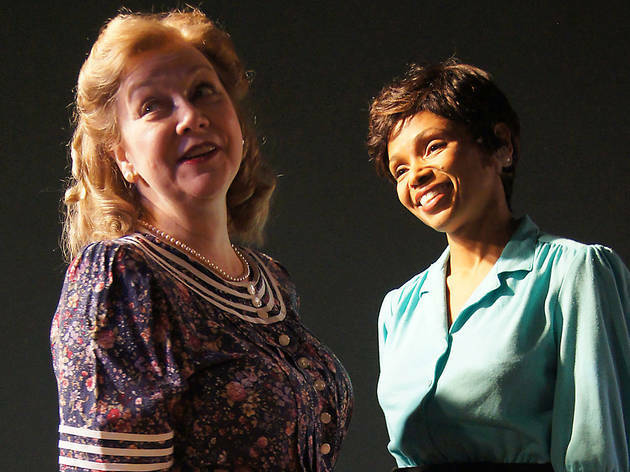 The first act of 2010’s Clybourne Park, a Tony Award and Pulitzer Prize winner, looks at the events of Hansberry’s play from the perspective of the white community faced with the potential perils of integration. 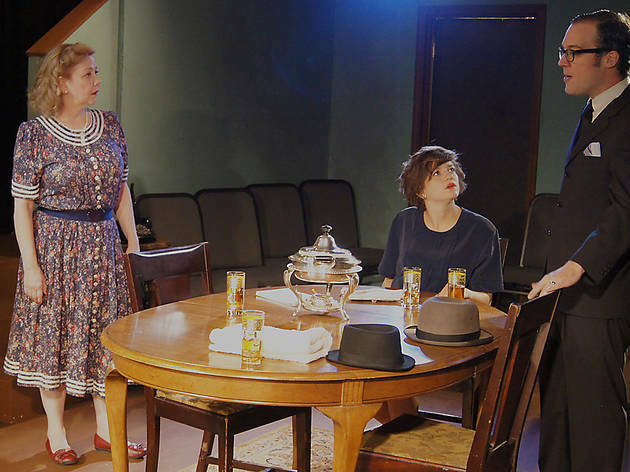 A half-century time jump between acts continues the race discussion in the same home, in a neighborhood that's now being gentrified following years of urban decay, making the play an extensive look at a multitude of social issues. 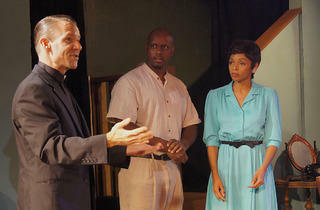 Karl Lindner (a greasy, self-righteous Pat Whalen), the white man in A Raisin In The Sun who bribes the black Younger family to keep them out of his neighborhood, continues his crusade in Norris’s drama, approaching the exiting Clybourne Park homeowners to ask if they will cancel the sale. His arrival turns a Saturday afternoon of packing into a heated discussion of a community’s responsibility to its citizens, not only examining race relations, but also how war veterans are welcomed back to their homes after traumatic experiences abroad. The connection to Hansberry’s work makes the first half tighter than the second. While still immensely entertaining and provocative, Act II eventually breaks into chaos as everyone starts shouting out their personal issues, establishing that no matter how much people try to communicate and compromise, prejudices still linger under the surface. Steve Scott stages the production in the round, creating an incredibly voyeuristic experience inside the compact Redtwist space. 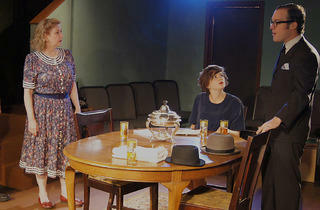 The awkwardness is amplified by the audience’s close proximity to the actors (who are at times mere inches away), and the performances are perfectly modulated for the surroundings. 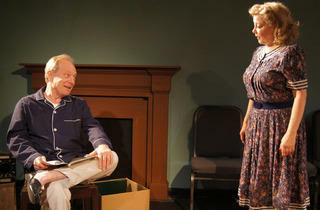 Playing a housemaid in the past and a member of the Clybourne Park historical preservation society in the present, Kelly Owens conveys much of her characters’ frustrations and anxieties with a raised eyebrow or a pursed lip, exhibiting visible signs of discomfort that herald a forthcoming tirade. 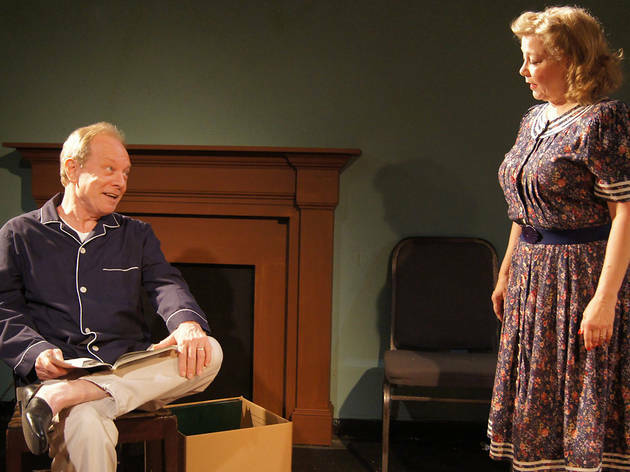 In Act II, Redtwist company members Jan Ellen Graves and Brian Parry create a complex, nuanced relationship for mourning married couple Bev and Russ, capturing both the boring routine of their everyday lives as well as the growing tension between them since the loss of their son. All they need is the right spark to blow up that tension, and Karl rolls into their home like an inferno. With each performer making a striking transformation between acts, the entire cast is phenomenal, making this a worthwhile production to check out even for those who caught Steppenwolf’s Clybourne Park two years ago.